I am so much enjoying stitching! Its such a lovely hobby! I think I can kind of make out where I am in the first page of my tiger. I was thinking that he would be asymmetrical but he is in fact off centre. So I do believe that the dark section on the bottom of the page is actually the top and down the side of his nose under the eye on the left side! So I think the eye will be appearing there just above the long line of stitches on the left! I love trying to figure out whats what! 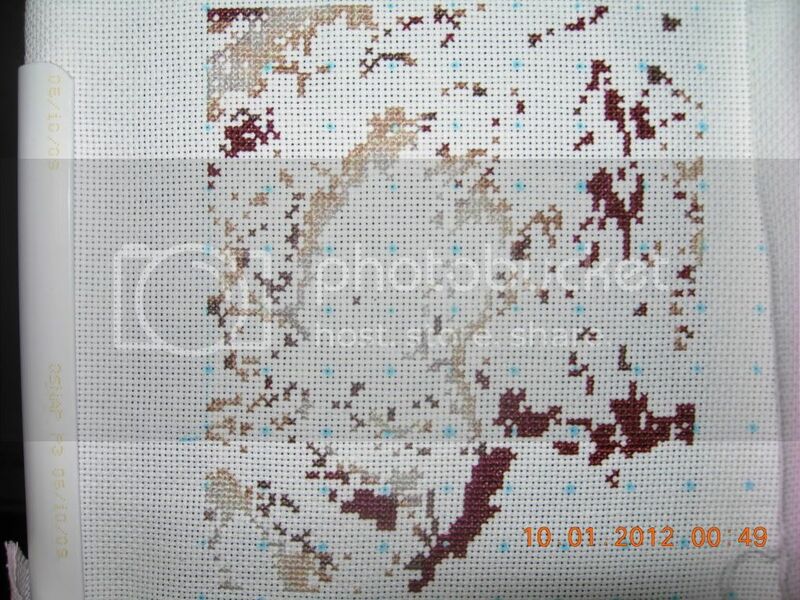 I am stitching this too, you have made a great start. You are ahead of me so looking at yours is giving me motivation!!! Great start on this, Vani. I found your blog today and am amazed at your work. Makes me finally get up the guts to start my first HAED which I have been putting off due to worrying about many things. What I do want to ask you is how you keep count of the amount of stitches you have completed?